While I own an extensive book collection containing Faulkner, Steinbeck, Hemingway, P.G. Wodehouse, Somerset Maugham and many more that have long been considered classics, my favorite contemporary author has always been Nora Ephron. A classic in her own right, Nora Ephron died today at 71 leaving behind her humor, wit, charm, guts, unpredictability and intelligence in her movies, screenwriting, novels and essays. I adored her writing. 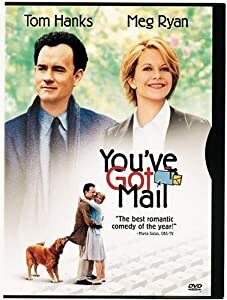 Actually, I have embarrassingly enough seen her movie “You’ve Got Mail” so many times I can recite most dialogue line for line. I actually own a copy of the screenplay. screenplay for including her last, Julie and Julia. Ephron was a funny feminist who wrote and directed roles for women that were not wimps. Often her characters were dark, or mixed up or dysfunctional for a while but by the end of the film you always knew everyone was going to feel good. Both the characters and her audience. Back in the 1980’s I was in St. Pete Beach in Florida during the filming of her movie Heartburn. Mike Nichols was the director and Ephron wrote the screenplay. Some scenes were being filmed at the Don Cesar Hotel, a big pink monolith of a hotel that looked like a huge castle along the beach front. I was staying at a rather small pink hotel that looked nothing like a castle with almost an ocean view if you ran a hundred yards and jumped on a trampoline. One couple in our group was staying at the Don Cesar so every time we all met for dinner or drinks I would suggest we meet at their hotel bar. I was hoping to get a glimpse of anyone connected with the movie. I went to that bar twice and saw plenty of equipment, cameras, grips, people with clipboards, craft service, people with headphones but alas, no stars–ever. Many in the industry say Ephron’s Heartburn was a thinly disguised story of her marriage to Washington Post journalist Carl Bernstein, who with fellow reporter Bob Woodward reported on the Watergate scandal that took down Richard Nixon. They were married four years and had two kids but word was he had a difficult time with monogamy. Since I love books, I always noticed the details of her movie sets and how many of them contained lots of books, desks, typewriters and then later of course, computers. You’ve Got Mail was even a story about two competing bookstores. I always felt that I could just plop myself into one of her story lines and just feel right at home. Thanks Nora, for making fiction seem so real, RIP.